There is an F1 race meeting taking place next weekend, and yet I'm not thinking about who might be quick there, who the likely winners are and what it would all mean for the championship. My thoughts are elsewhere. Frankly, I'll just be mightily relieved if, come the Monday following the race, the whole thing has passed off without something unpleasant or tragic happening in or around it. I can barely think of another F1 race I've anticipated in such a way. Even the Monaco Grand Prix of 1994, which followed on from the blackest of black weekends at Imola that year, isn't quite on the same level. My trepidation then was for safety of the drivers in the course of their driving, and they at least get involved the sport knowing such dangers to themsleves are, at the broadest level, inescapable. This time it's different. The apparent risk is on all of the people involved in the sport - team members, media, track workers and others - as well as some not even involved in F1 directly, who could well be being placed in potential danger. 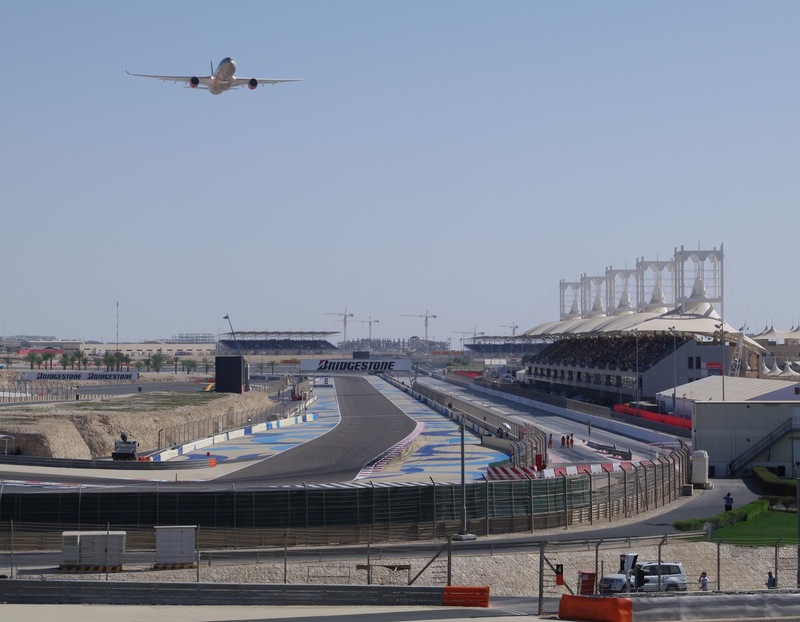 The FIA confirmed yesterday that the scheduled Bahrain Grand Prix will indeed take place next weekend, and that they're satisfied with the security arrangements in place. This is despite the continuing regular reports of protests and civil unrest in Bahrain, as well as allegations of brutal repression of it, and the resultant wider pressure to cancel the event. I make no claim to be an expert on what exactly is happening in Bahrain, and given we live in an age of social media and the like we're being subjected to a barrage of claim and counter claim from both 'sides' of the debate which - without wishing to judge or dismiss collectively - is next to impossible to judge the veracity of in many cases. 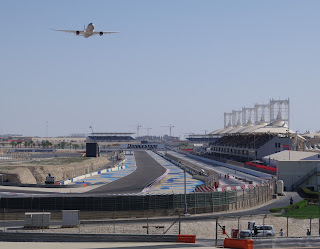 Also, for the purposes of forming my view I'm parking whatever moral misgivings I might have about the Bahraini regime and its conduct (even though that many of the wider public perceive that by holding the race F1 is siding with repression for the sake of chasing the dollar, which isn't good). Indeed, F1 is not in a strong position to make moral judgments about the country. For one thing, it would be hypocritical in the extreme to do so. Even a cursory glance at an F1 calendar will tell you that Bahrain is not the only country visited, either now or in the past, about which questions could be raised, and establishing where to 'draw lines' is never easy (though F1 seems a lot more reluctant to draw a line at all than are most entities). Further, it's not as if reasons for moral concerns about the Bahraini regime started last February on the 'Day of Rage': the country did not become undemocratic or oppressive suddenly on that day. 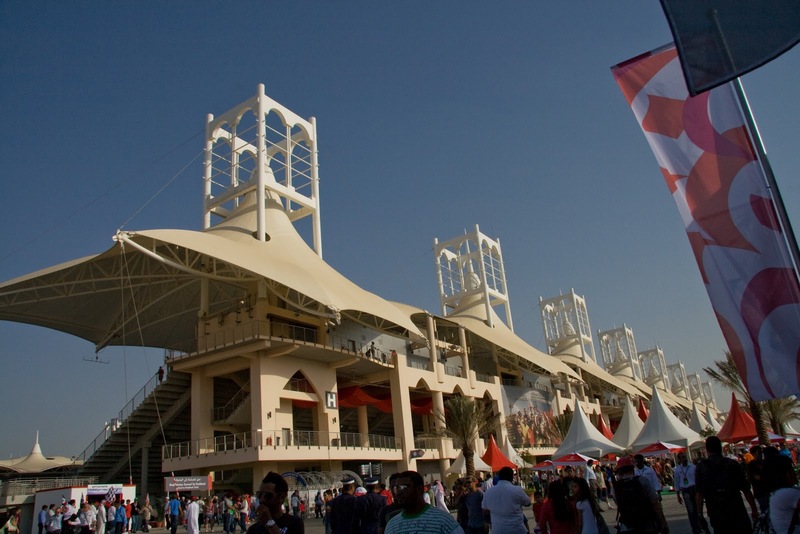 And F1 was nevertheless content to turn up there for a race each year, we were content to watch them and, to give a wider example, McLaren were content to let Mumtalakat, the Bahrain Government's investment arm, acquire 50% of their business's shareholding. 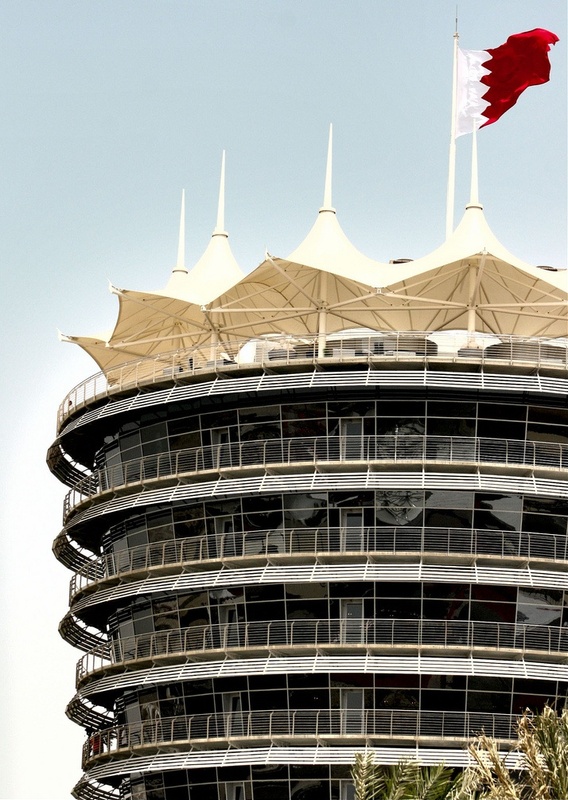 But security is another matter, and it's for this reason that I am trepidant of this weekend's Bahrain Grand Prix meeting and take the view that it should not go ahead. It strikes me that by not cancelling the event F1 is taking an incredible risk, not only to the welfare of those involved in the sport and more widely, but to its own future health as a sporting entity. Potentially, F1 is putting its own head into a noose. And the potential reward of holding the race to counterbalance the risk is not nearly sufficient. Of course, those who made the decision to carry on with the event have access to more information than I have (indeed, the FIA statement yesterday mentioned a 'fact-finding mission' undertaken by Jean Todt at which he met 'a large number of decision-makers and opinion formers' from both 'sides'). But we do know for a fact that there have been protests in Bahrain against their governing regime which continue and are active, we also know that some protesters and others have died, and that some have been imprisoned (and that torture has been alleged). We also know that for some protesters the F1 race has become a focus for their discontent (the content of some of their graffiti shows us that), most probably due to the governing regime's close association with the event. With this, the security risks to the F1 event and all associated with it are obvious, as well as real and immediate. For example, it will only take one protester to decide that the global audience of an F1 event is too good an opportunity to miss drawing attention to their cause in an extreme fashion to give us a catastrophic outcome on several levels. Indeed, it may not even take pre-ordained malice: peaceful protests in a tense situation can very quickly become non-peaceful, due to the actions either of protesters or authorities. It could even be that the F1 event taking place has a generally incendiary impact on the unrest, resulting in a general escalation. And if any of these sorts of things happen, the implications are equally obvious. In addition to any human tragedy, the impact on F1's image and health could be colossal, resultant from disgust in how the sport did not heed the warnings and helped to put people at risk, apparently just to secure money. At times like this F1 seems to forget how vulnerable it is. In addition to any lost fans, there are sponsors, manufacturers, media outlets and the like who to a large extent sustain F1. And these could abandon at a moment's notice and thus pull the rug from beneath the sport. Such decisions to withdraw are made in boardrooms, there's little sense of obligation to F1 or to motor sport in those, and the decision could be made in minutes. Yes, there is a lot of money on offer to F1 and its teams from undertaking the event, and Bahrain, and the Middle East more generally, has a lot of financial and other investments in F1 and in motor sport more generally (indeed, a member of the Bahraini royal family sits on the FIA's World Motor Sport Council). There also may be an 'invisible hand' of geopolitics influencing this, what with Bahrain's importance as a 'western-friendly' Middle Eastern country, and to the siting of naval bases and the like (and haven't the UK Government been quiet in public about this issue? Odd given it's many of their citizens possibly at risk in this case). But assuming it isn't all explained by influence from the corridors of power, it's difficult to see how in any sort of risk-reward analysis the benefits of holding the race this year, financial and otherwise, even begin to outweigh the associated risks to the sport, the people in it and others. And if FOM's contracts with race organisers don't have sufficient 'force majeure' clauses to allow F1 to withdraw gracefully from holding a race in circumstances as we have now then they need to fire whoever's drafting their contracts, frankly. Further, presumably Bahraini money is not offered out of benevolence, the regime presumably sees something in it for them from their investment, so it's hard to envisage them disappearing from motor sport overnight even if this year's Grand Prix was to be cancelled. 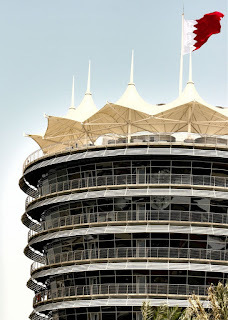 I've also heard it said that the Bahrain race could help 'heal' or 'unify' Bahrain as a country. But this surely is a leap of faith, rather overestimates F1's power in nation building as well as is, to be blunt, not F1's problem. Of course, it could be that I'm worrying over not very much, and/or that the Bahrain Grand Prix weekend goes off without a hitch. But even if this is the case I can't see how anyone currently can say with confidence that the likelihood of such problems occurring are sufficiently low to justify the event going ahead. It would require a much longer period of calm for us to establish this sufficient confidence level. It strikes me that there is instead a large dosage of hoping to 'get away with it' at work. Because of this, even if it transpires that nothing unpleasant happens in or around next weekend's Grand Prix meeting I still will not accept that the risk of holding this Bahrain race has been justified.